Is Chocolate Milk the Best Workout Recovery Drink? I am a huge fan of exercising. I find it to be a very useful form of stress relief and I love the feeling you get when you finish a hard circuit. However, I never know what to eat afterwards. I’m not usually hungry, but I have been told time and time again that it is very important to get some protein back in your system at least twenty minutes after you finish your routine. Being a college student, it can be even harder to find a healthy effective, post workout meal. Protein bars are great but they just don’t do it for me. Then, I remembered hearing from my stepmother that chocolate milk is actually highly beneficial to your health, especially after you finish a workout. I found this hard to believe, but I do enjoy chocolate milk; so I thought I would do some research and find out if this tasty treat really is the best post workout supplement. According to THIS article, chocolate milk actually has very helpful ingredients when it comes to your recovery. The drink has a high water content, which makes up for the dehydration and the sugars are just enough to help your body recover. Also, it has valuable carbohydrates and proteins that are crucial to a strong recovery. It was sounding pretty good to me, but I was still not convinced that a drink I used to consume as a treat could actually be helpful. So, I continued my research. THIS study done made famous by Joes M. Stager tested nine different cyclists. They were asked to cycle for as long as they could and then were given a four hour break . During this time, the athletes would drink gatorade, Endurox R4, and low-fat chocolate milk. After the four hours were up, the cyclists were asked to once again cycle until exhaustion. 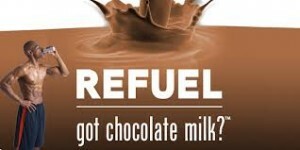 The study had positive results as those who drank the chocolate milk had an equivalent, or even increased performance compared to those who consumed the other sports drinks. The article above also mentions that your average athlete should reconsider how much chocolate milk they are consuming. However, if you are training hard or leaving the gym, it is still seems to be a highly beneficial drink. Now as I was uncovering the wonders of chocolate milk, I also wondered how soon after a workout you should be recovering and consuming protein. According to one ARTICLE, the best option is for you to get your additional protein within thirty minutes of finishing your workout. They also suggest you split it up and drink some before and after, however, I am sure some post workout protein would be sufficient. This is fairly close to what I have been taught over the years; however, an article from Men’s Health begs to differ. THIS article claims that the allotted time to consume your protein supplement is actually much longer. It goes on to explain that contrary to what experts believe, the muscle growth continues for anywhere from 24-48 hours. Obviously it is better to drink some chocolate milk earlier, but you do not need to stress about getting your protein in within the half an hour. Overall, it can be hard to decide whether or not you truly want to drink chocolate milk or if you want to drink it within thirty minutes of your workout. However, after doing some cost-benefit analysis, it is clear it couldn’t hurt to try. I would not recommend chugging a carton of chocolate milk, but giving smaller portions a try does not seem to be harmful in anyway. This entry was posted in Uncategorized on December 1, 2016 by Claudia Lynn Hatch. I seem to be running into all the exercise articles today, but this was definitely my favorite! As someone who has recently started exercising regularly and is a huge chocolate milk fan, this post really hit home. I had no idea that chocolate milk had these types of benefits; I thought it just tasted really good! I almost always go for water when I work out. Sugary drinks like gatorade have little appeal to me when I work out, but chocolate milk. . . now we’re talking. Many people hear chocolate milk and immediately think chocolate, but not milk. It is milk! While your post initially caught me very off guard, milk is a no-brainer to drink shortly after working out based on it’s health benefits. Chocolate milk has much of the same benefits and additionally has fattier substances which can help replace the fat you’ve just burned. All in all this was a really well done article that is going to leave me drinking chocolate milk forever! I had to read your post because this is my roommates excuse for keeping the creamery’s chocolate milk around the dorm. While reading your post will make me not give her such a hard time about that, it still left some questions unanswered. For instance, what is the portion size of chocolate milk when used for this purpose? Is it the same as when it is usually consumed? Does the type of milk used in making the drink affect the health benefits and its overall effectiveness? In searching for some of these answers, I found this paper to be most useful http://jissn.biomedcentral.com/articles/10.1186/1550-2783-5-15 . The study you referenced pertaining to the quality of muscle recovery with chocolate milk compared to other “sports drinks”. It would help to know what the study determined to be sports drinks. Because the contents of Gatorade or Powerade provide a completely different nutritional effect based on its contents that do not at all resemble that of dairy. Also, it would be interesting to know the mechanism by wich chocolate milk heals muscles. Obviously, proteins would be a big part of that, but what mechanically makes chocolate milk better. Finally, the evidence that disproves the “thirty minute rule” is very interesting. This is something new; I’ve never heard that chocolate milk was good after a work out, but I still have some concerns. I read in an earlier post that perhaps it is better to just have water rather than an energy drink when you are being active. That post talks about how energy/sports drinks are really for major athletes and that they have low benefits for other people. The amount of sugar you consume from them are really high and this would be ok if you burn enough calories, but many people don’t. Also the electrolytes that are the main energy source are not enough to replenish what you lose in a workout. I am saying all of this because your comparison of a sports drink and chocolate milk makes me wonder if the same is true for chocolate milk. 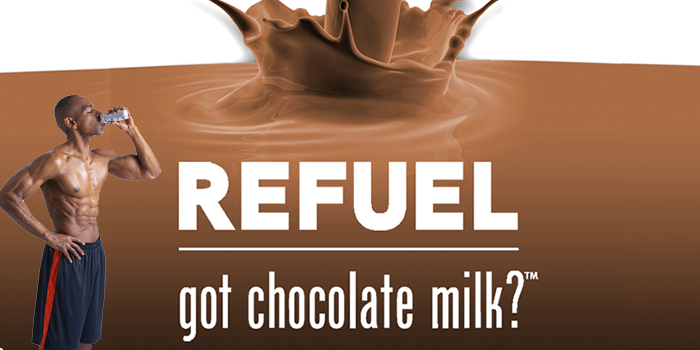 It might be that chocolate milk could be better than an energy drink or water. Also the fact that the milk is a replacement for protein may make a difference. It would be nice if there was a second study like the one you mentioned where they added water and saw which was better. I kind of goes hand in hand with what we talk about in class the more studies there are the more convincing it all is. I also wonder were the same participants who drank the sports drink and ran the ones who drank chocolate milk. If not what if they have different levels of fitness and if yes were the test done at different times. It could be that the results of this study were due to a third confounding variable, or that there was a placebo affect because exhaustion is something that is perceived. Hi Claudia! I really enjoyed this post- I think it’s super important to consider what foods you’re putting into your body, especially before and after a workout. When you do something good for you body such as working out, it seems like a bad choice to not eat or drink foods that you need for your muscles! 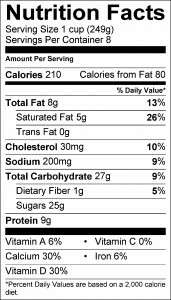 I found this website that offers up a list of foods that could be beneficial for you to eat before and after working out and why they work! I’ve never thought to try drinking chocolate milk after working out! I also went a step further and did some research (link on the bottom) on whether chocolate milk was better than water after working out, since water was not one of the drinks tested in the experiment with the cyclists. 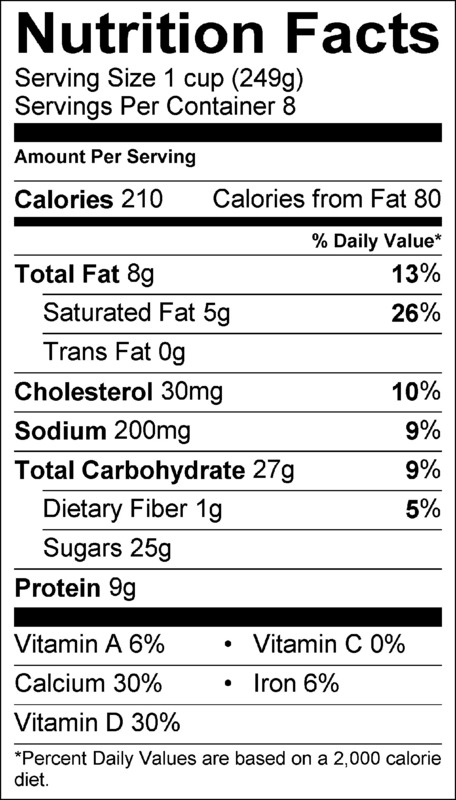 Turns out, chocolate milk is 90% water and the other 10% is packed with the protein and electrolytes water lacks. Water hydrates you thoroughly after taxing yourself but doesn’t have the extra 10% that chocolate milk adds to the equation. After reading this post though, I am willing to give chocolate milk a try after the gym. Claudia, back when I was playing junior hockey, our team trainer would have protein shakes ready for us to drink as soon as we came of the ice after our morning practices. At first, I didn’t notice much benefits besides a good taste. After some time I definitely notice that my body was reacting positively to the shakes in regards to my post workout recovery time. I never really gave low fat chocolate milk any consideration. I always liked the taste, but I didn’t realize that it could produce some great post workout benefits. I found an article that compares chocolate milk to protein shakes and their benefits. My trainer told me about the benefits of chocolate milk a few years ago and I was very surprised. The beverage seems like more of a desert than a health food. Conveniently for us chocolate milk lovers, however, there seems to be an agreement among most sources that it is in fact healthy. It was interesting to learn more about the subject from your post, I never understood why it was effective or how to increase the benefits of chocolate milk until now. Thanks for posting! If you’d like to know what foods to eat with your post workout chocolate milk, click this link. This was a pretty interesting article to read. I never actually considered chocolate milk to benefit someone after worming out… even though I don’t work out myself! From what I researched on this topic, the protein and carbohydrates in chocolate milk makes it a beneficial drink after working out (https://www.dairygoodness.ca/milk/all-about-chocolate-milk). My mom always tells me that chocolate milk is good for you because it’s good for calcium, just like regular milk. I like the organization of your post, and I like the study that you used to correlate with the topic. You elaborated on the study, describing whether the hypothesis (chocolate milk consumption vs. work-out benefits, I assume?) had positive results.